Review, let me give you some background. 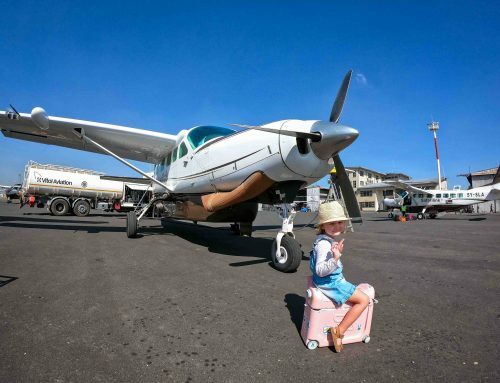 As you may know, we were travelling for almost one year, around Central and South America, before visiting family in New Zealand and moving on to Australia, Bali and Singapore. When we decided to take our family gap year, neither of us anticipated how much hard work it would be keeping a three year old entertained. Equally, Esme hasn’t been able to use the buggy so much since baby brother showed up. Isn’t it hilarious, how they never want to sit in the buggy until someone else is in it? 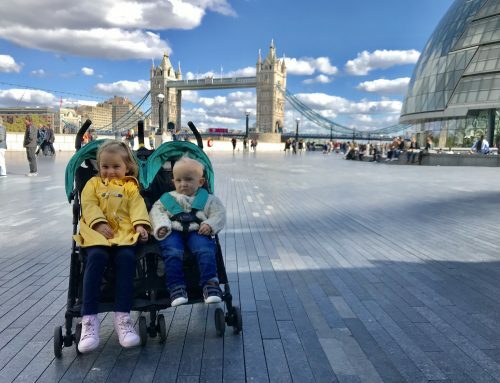 There was no way we were going to bring a double stroller, but to be fair, there have been quite a few times where we really needed it to get us through the airport on an early morning flight. 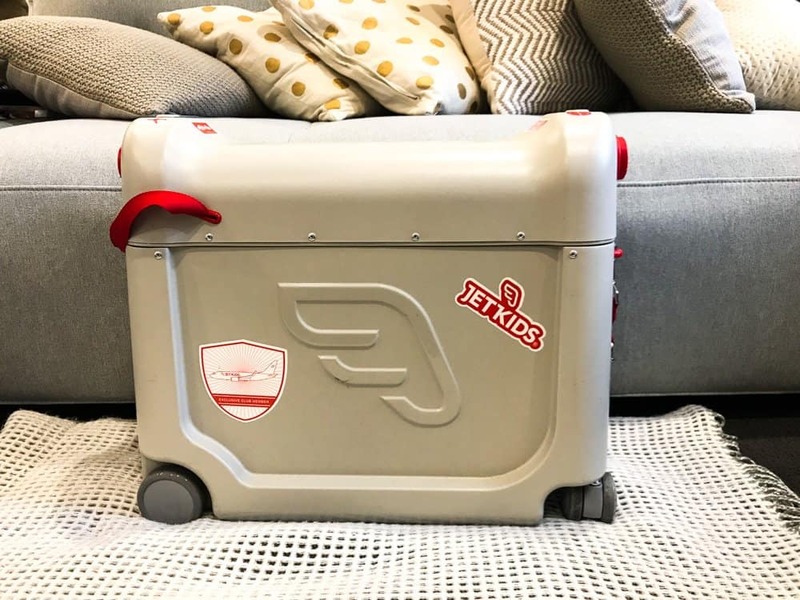 IS THE JETKIDS BEDBOX REALLY WORTH IT? I really love when something has multiple functions. It’s an absolute ‘must’ when it comes to children’s products. Let’s face it, they can get board so easily, it needs to keep them entertained and happy for as long as possible. 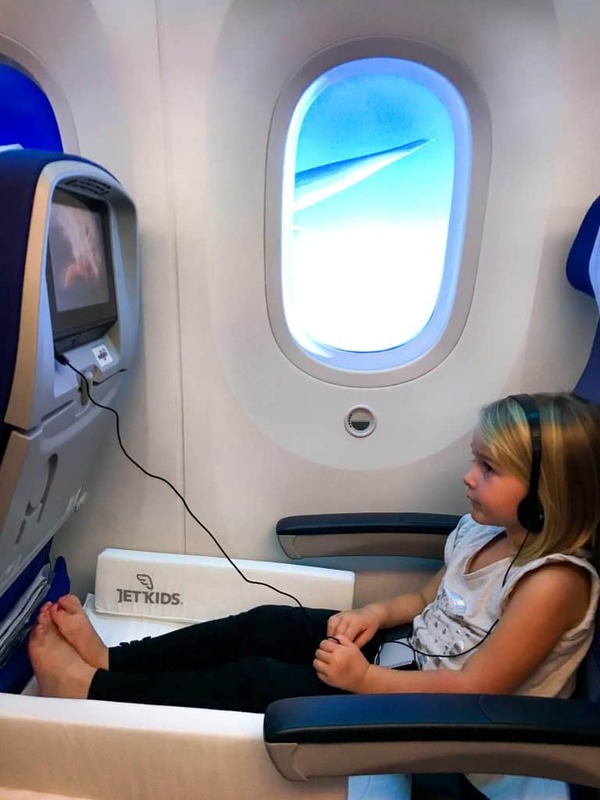 I was so impressed that the JetKids BedBox is not only a bed for our little one when onboard a flight, but it is also storage, and a scooter! One morning we woke her up at 3:30am for a very early flight. Knowing our daughter too well, she was quite grumpy to begin with. That was until we got to the airport and whipped out the BedBox! Complete with a little strap, she can straddle the box and I have a long handle to pull her along. The wheels at the front rotate so it can go around corners and everything. Not too fast though as over zealous mum learned. What is ordinarily a very challenging and boring hour, getting checked in, as well as through security, turned out to be amazing fun whizzing around the terminal. I’ve never seen a more happy sleep deprived toddler at 4.45am! For once, baby wasn’t getting ripped out of the buggy by the territorial big sister. She was too busy having a blast with dad and scooting past one her BedBox every few moments.
. We have managed to get so much into that space. Many thin books, dolls, their cuddly bears, some arts and crafts as well as a car! It’s so awesome to finally have our stuff contained. We are feeling so much more organised and less chaotic with just one suitcase, one other wheel bag with random bits in it and the BedBox. When we were sipping on our much needed coffee just before the flight, Esmé opened up the box and got all her toys out. That kept her quiet and entertained before we made our way to the departure gate. The best part about it all is, we usually find it very hard to settle her into a sleep on the plane. It really impacts on the rest of the day and usually means travel days are a write off! She’s too big to be rocked at this stage and she’s not breastfed anymore. They used to be my two main tactics so I am at a loss when head strokes, cuddly blanket and eye masks don’t work! Setting up the BedBox was such a novelty for her. It’s very simple to do and it obviously fits into the dead space in front of her inflight seat. platform to make her own little cozy space. It meant she could just chill or lie down for a sleep. She spent most of the time in quite a comfortable position, watching movies and just playing. It was great because Esmé couldn’t lose her toys on the floor as the space is filled with the box. When she got settled into a deep sleep, the guy in front reclined his chair. I did worry it might squash her but it was absolutely fine. We have used other in-flight sleeping devices in the past. 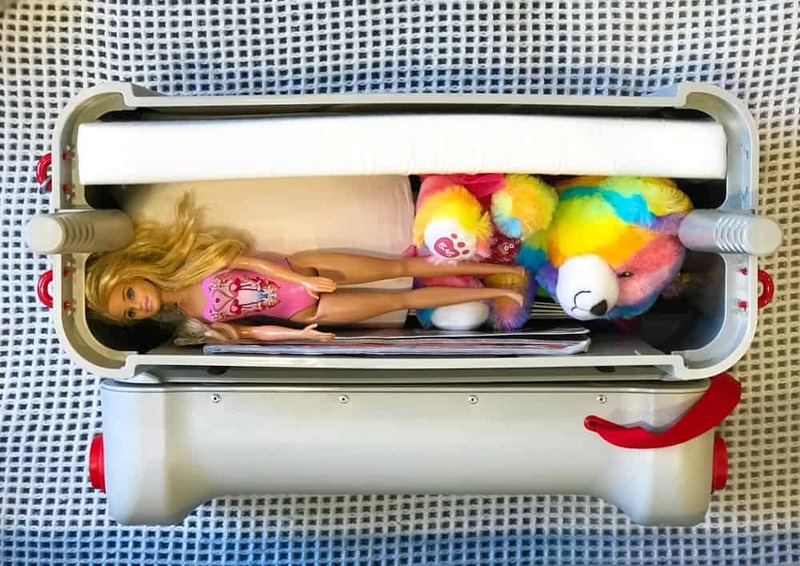 The inflatable bed pillows are great as well but they take longer to set up and are a little more disturbing for other passengers when it comes to inflating them. Equally the BedBox is more like a suitcase. 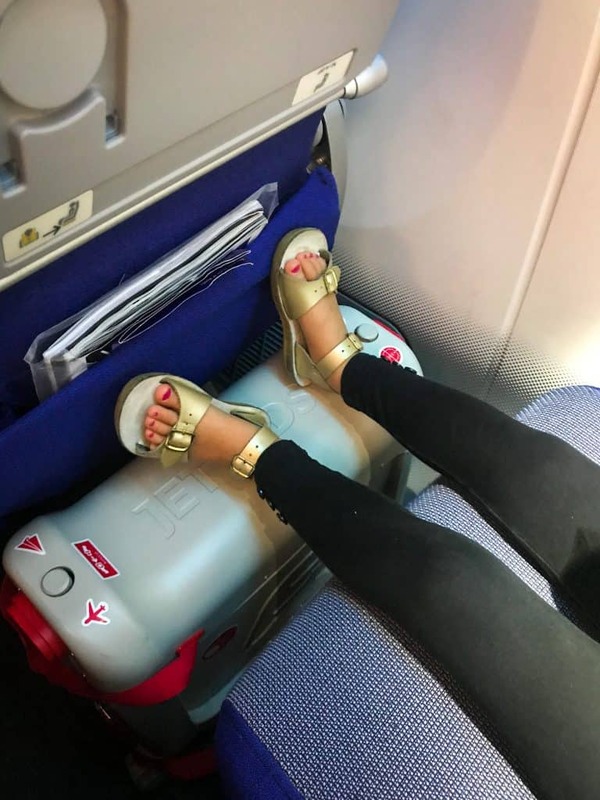 Suitcases are allowed in the legroom on most airlines. However I know some have been funny about having an inflatable pillow fill the space because it interferes with air movement. That said there are many approving airlines of both the BedBox and the pillow. It’s worth checking before travelling as Air NZ definitely do not allow either. The other thing is, I feel little ones need to be the right age. Esmé absolutely loves the scooter feature at the moment aged three. Coming in at £119 GBP, it is an investment! I would want to ensure I was going to get plenty of use out of it for the cost. For us, it is well worth it with the amount of travelling we do. 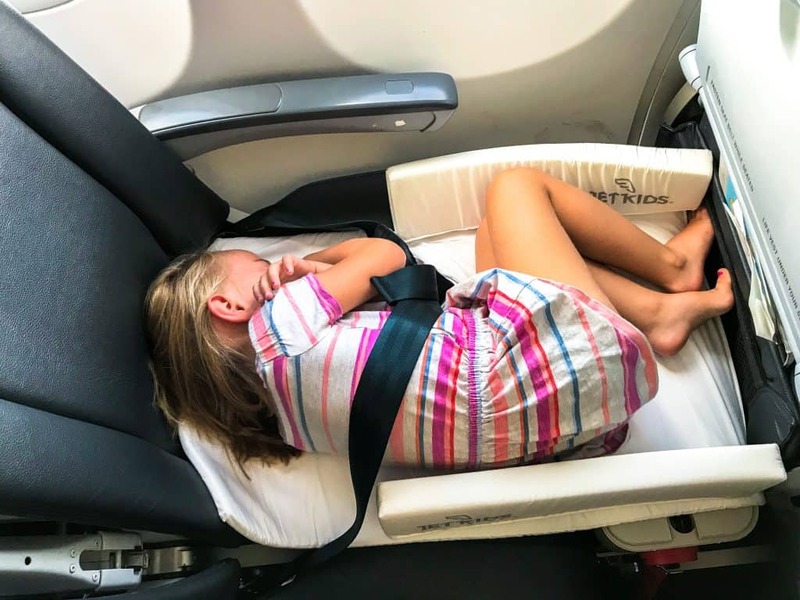 I can’t put a price on reduced luggage, fun at silly o’clock in the morning, and a sleeping toddler on a flight! I would say it’s worth it’s weight in gold if you travel regularly. 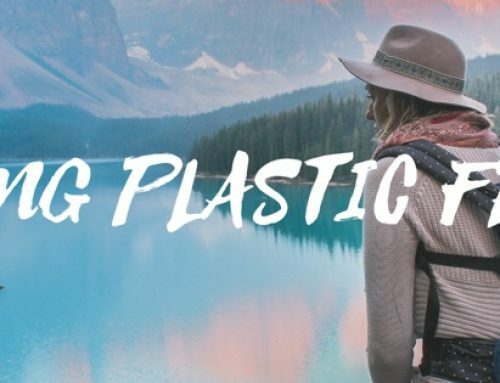 DO YOU WANT £25 TOWARDS YOUR FIRST AIR BNB STAY? 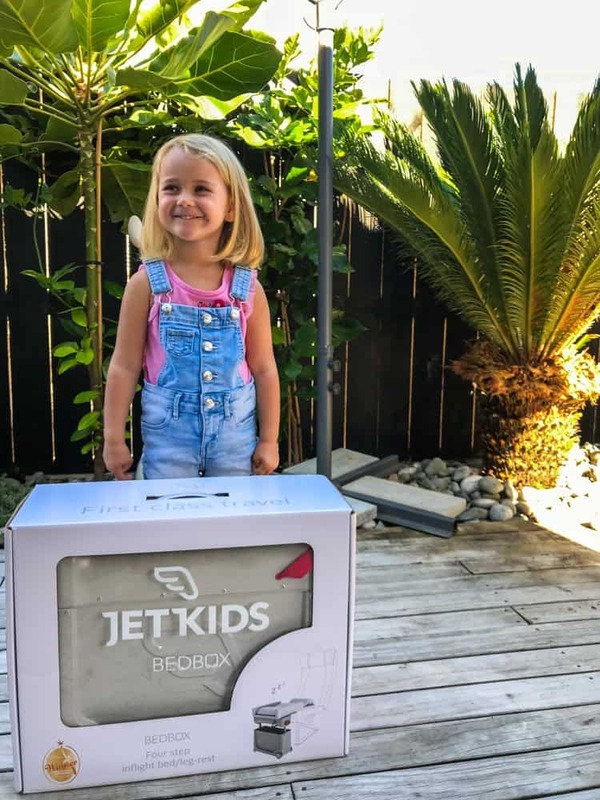 Have you found this JetKids BedBox Review helpful? We would be so grateful if you could give a small token of appreciation by becoming a patron which you can check out here. What is a patron you may ask? In this digital age there is a demand for immediate information online. Being a patron is a new-age way of giving back for the information, which takes time to put together with no financial return. It’s the very same as Go Fund Me. This post is sponsored! However, as always, all views expressed are entirely my own. I need to have one of these!! 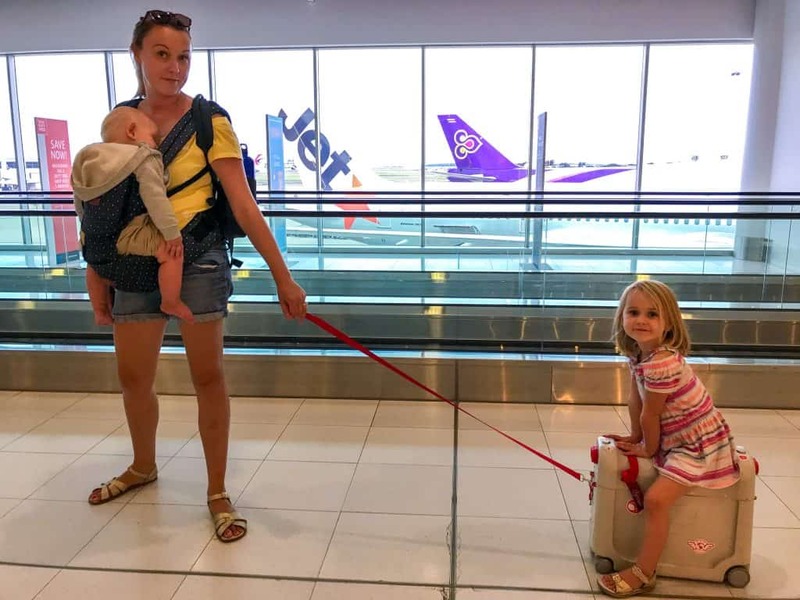 I’ve already been dreading our flights to EU this summer with 2 kids but this looks like a hand changer! Hi Karen! This seems great untill the person in front of you reclines their seat… How mush room do you get when that happens? Thank you! ? Mush?? That’s sleep deprivation for you? Hi, the code does not work? 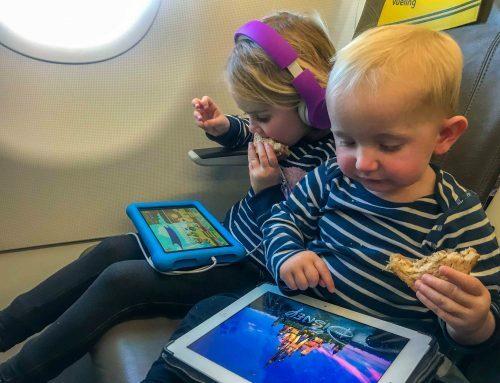 Unfortunately, many Airlines do not allow these devices to be used. So frustrating….Air Canada is one of them. Before buying I would check with the airline you plan to use. I am glad I didn’t spend the money if I can’t use all the features. I can’t seem to find where to put this promo code in on their website to purchase. Sorry about that but the code is no longer valid. I should have removed the code earlier.